Welcome to Peace Corps Thailand. Thailand's population number over 68 million people in an area slightly larger than Spain. The terrain varies from the Thai highlands to the north, the Khorat Plateau in the east and the Kra isthmus to the south; beaches, jungles and significant metropolises offer variation worth exploring. Since 1962 we have collaborated closely with the Thai Government and society to assure that our projects and Volunteer activities are relevant and are addressing appropriate needs in the country. Currently, Volunteers serve two-year projects in the fields of English Education and Youth in Development in rural communities. Peace Corps Thailand provides quality training in Thai language, local culture, and project skills before Volunteers are sent to their sites. Peace Corps Thailand Volunteers report high satisfaction with their sites and their work due to this training and in large part, to the ongoing support that they receive from staff and their Thai counterparts. Volunteers help their partners identify strengths and build on individual, organizational and community assets. Together they come away stronger through this friendship and collaboration. 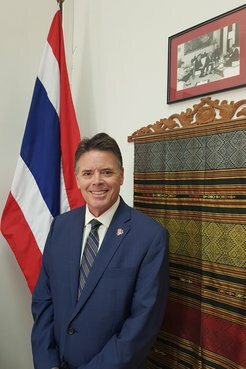 Thank you to all of our Thai government partners, teachers, school directors, health departments, community leaders, counterparts and host families who extend their hospitality and warmth to our Volunteers. We are proud to partner with you. Thank you for your interest in Peace Corps Thailand. Explore the possibilities.